So far, so good. I have the first part of the pattern written which include the yardage and the directions for cutting the fabric. Honestly, this part is probably the most difficult for me to write because it’s tricky to figure out how much fabric to tell people to get. If you estimate too low (ie, just barely enough) there is a chance that someone makes a cutting error, doesn’t have enough for the project, and has to go back to store for more. 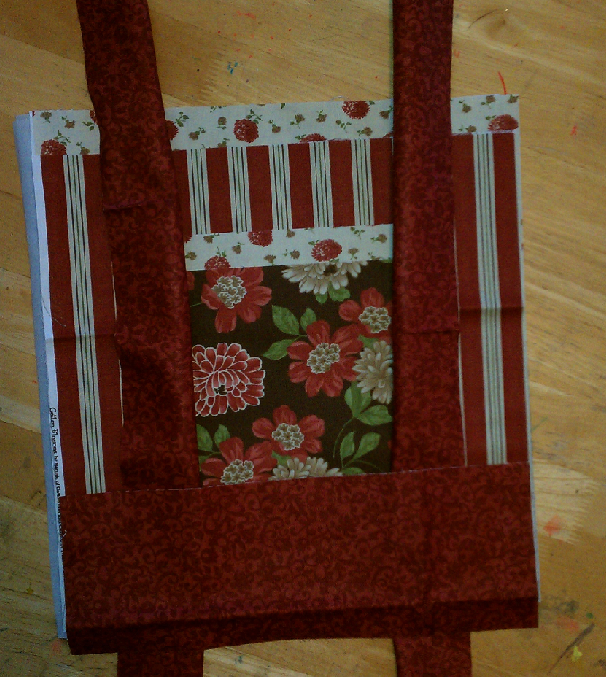 If you estimate too much, someone will spend more then they need on the fabric and have a lot of scraps left over! I personally don’t mind having leftovers, but in this economy, I know I try to save money where I can :). My pattern lists the sizes for each piece, but in addition it will also include cutting instructions so that people can cut out the pieces the most efficient way possible. I always appreciate patterns who have provide specific guidelines on how to actually cut the yardage into pieces. Sometimes I follow them, and sometimes I don’t, but it’s nice to have them. Labels for the pattern pieces are also included so that there is any easy way to track all the pieces. Each piece is assigned a specific number and you will cut out the labels and pin them to the appropriate pattern piece. The directions will reference the piece number on the labels to (hopefully) eliminate any confusion with the actual pattern. What do you think about these pattern features? Is there anything else I should also include? LOVE the idea of labeled pieces, especially for totes! Best of luck to you! List at the top the amount of different fabric that will be used i.e. this purse uses 4 different desgins. The rest of the directions sound great!!! !